What can I say about The Crowne Plaza Belfast as a wedding venue? One word AMAZING!!!! We had been to many venues before visiting this hotel but once we met Lisa we knew this was where we wanted our daughter Amy to get married and Amy agreed. From out first meeting, Lisa made us feel special and important. We attended a few wedding events in the hotel and on each occasion Lisa remembered us and greeted us like old friends. The day itself was perfect from start to finish. Lisa met us at the Lagan view suite with a hug and Eileen looked after us the remainder of the day. Nothing was a problem to either of them or indeed any of the staff we encountered. The meal was amazing and we received many compliments from our family and friends. If you are looking for the perfect venue with the most friendly, helpful staff, this is the place for you. We had our wedding here on 06 October. Everything about the day was flawless the staff could not do enough for us and nothing was too much to ask. They helped add all of the personal touches to our day and the food service was amazing. The bridal suite was beautiful and we were allowed to leave our belongings in the night before and got a complimentary late check in. Our wedding planner Lisa was brilliant and always so clam which helped ease our nerves. Stacey was also great in helping plan some extra suprises on the day and ensuring we were content throughout the day. Really was the best day ever and this was because of the amazing atmosphere and hard work of the staff!!! You will not get better than this hotel for an exquisite wedding! We had our wedding at Crowne Plaza and I can NOT fault it at all! Best day from start to finish. Lisa was extremely helpful and reassuring through out the whole Organising, Bert saved the day after balloon massacre gate and Eileen made sure everything ran very smoothly. 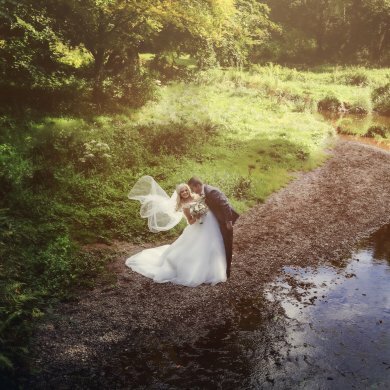 Venue is stunning and grounds are perfect for photos. I would highly recommend anyone to get married here. From day one you were just fab! Nothing was ever too much. The staff on the day of our wedding were amazing! I have had so many compliments from people about the fab service at dinner and how gorgeous the meal was. There are so many people to thank from the staff who set the room up for us, Eileen, the serving staff, the bar staff literally everyone were just so friendly, professional and nothing was too much trouble. One of the girls even fixed my hair and veil. Amazing staff. I would be grateful if you could thank every single person involved in making our day so special. Everything just flowed so smoothly from start to finish. We couldn't thank you enough for everything you have done before and after the wedding. You are AMAZING!! 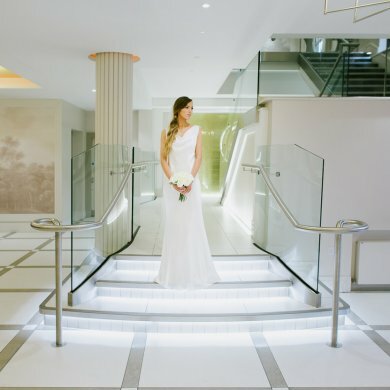 We had our wedding at the Crowne Plaza Belfast and the service was next to none with the help from our wedding co ordinator Natasha. She is a credit to the hotel and we can’t thank her enough! I can't even say how much Lisa Ferguson did for us... she was amazing, warm, kind, attentive and just made us feel we were looked after. on the day Eileen and Jackie and all the other staff were so fantastic they couldn’t do enough for us and our family and friends and it was absolutely perfect. Couldn’t be more complimentary just 100% amazing. We had our wedding reception last Thursday in the Laganview Suite and everything was amazing! Natasha was so helpful and made planning from overseas very easy. The staff on the day couldn't have been more attentive to our guests who had travelled from Scotland and Australia. Guests also highly commended the food and service throughout their stay. 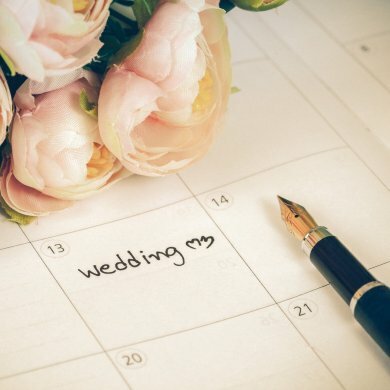 We would definitely recommend Crowne Plaza Belfast as a wedding venue. We had our wedding reception at Crowne Plaza on 21st July 18 from start to finish from booking it to the actual day was fantastic. 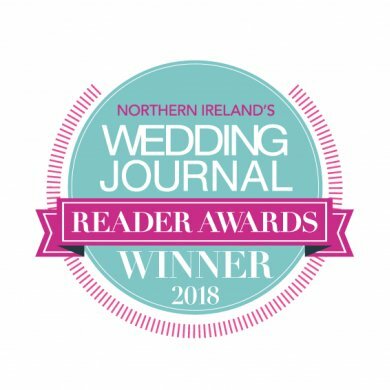 Lisa Ferguson the wedding co-coordinator is superb and is a real credit to the hotel, Lisa made the whole process so easy and stress free , every meeting we had with her was fantastic and we had absolutely no worries at all about how things would work on the day. The Laganview suite is beautiful and all our guests were really wowed by it, particularly our food which was all exceptional. Staff on the day were so helpful and couldn't do enough for us. Those guests who did stay were so pleased with their rooms and our honeymoon suite was beautiful, we would highly recommend Crowne Plaza! I had my wedding at Crowne Plaza Belfast on friday and had the best experience ever. My family and I stayed from Thursday to Sunday and the staff couldn't be more helpful and friendly. The leisure facilities for the kids were excellent and my husband and I cannot wait to return. A very special thanks to Lisa our wedding coordinator who made sure i looked perfect before i left for our ceremony. We had our wedding reception here in June. The staff were great and a special thanks go to Lisa as I couldn’t of done it without her help. Geraldine was on hand to oversea the whole day and she was brilliant. The day was everything I had asked for and more. Highly recommended! We had our wedding in the Laganview suite... everything was perfect! The meal was beautiful, the staff very friendly, the hotel rooms were stunning and very clean! Can't thank Lisa the wedding co ordinator enough for everything she done for us! Will recommend to anyone asking about the venue! We loved the fact that our suite was separate from hotel itself, making the wedding feel more private. We had our wedding reception at Crowne Plaza Belfast and I honestly can't recommend this stunning venue enough. Especially the lovely Lisa, who made our planning as stress free as possible. Thanks to her our day couldn't have been any more perfect! Nothing at all was a hassle from the first moment we spoke to Lisa! Every one of our guests praised the venue, the food and the service.